The non for profit association PHOTOCONSORTIUM has the purpose of promotion and enhancement of the culture of photography and the photographic heritage. PHOTOCONSORTIUM is a centre of expertise and knowledge in the field of photography, about digitization, aggregation of content to Europeana and other portals, metadata standards, indexing, cataloguing and controlled vocabularies, best practices for the management of digital archives, and much more. This expertise and knowledge is the core to generate activities, provide services, organise training programs and seminars and participate in new research. 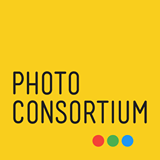 PHOTOCONSORTIUM builds upon the legacy of Europeana Photography EU project (2012-2015) and is the curator of the international exhibition All Our Yesterdays.